You are here: Home / Comedy / What Clean Comedian is on the Star Search Winners List? Star Search Winners include Tina Fey, Steve Carell, Bill Engvall, Norm Macdonald and Taylor Mason. Mason brings his witty, conversation-style humor from Second City School of Improv in Chicago, Illinois to the people. With the success of ventriloquists such as Jeff Dunham, Terry Fator, Paul Zerdin and Taylor Mason, audiences get to see what it means to have a split-personality disorder. Talking to yourself never paid so well! After being crowned the Grand Champion on “Star Search” in the 1990 and winning the grand prize of $100,000, Taylor Mason set out to conquer the comedy world. Working for companies like Time Warner, HBO, Disney, and numerous other companies only set him on a faster track to success. Mason has showcased his craft at some of the most prestigious performance venues in the world, including Carnegie Hall in New York City and The Sydney Opera House in Sydney, Australia, Mason has made a name for himself as a Stand-up comedian, world class performer and member of the Star Search Winners list. Adding a puppet to a comedy routine can be a gimmick to bring in easy laughs. Thankfully, Paco is no ordinary pig, and Taylor Mason is no ordinary comedian. These unique characters from quite the pair while on stage. There has not been a pig as charming as Paco since Babe, but Paco’s background as a lawyer makes him less trustworthy. However, Paco might need to be litigious since he is afraid of anyone getting a hold of his bacon. He has a difficult time enjoying his trip to North Carolina because the state is unfriendly to pigs. It is loaded with barbecue, and Piggly Wiggly make Paco nervous. This Hispanic heart-throb likes the ladies but is a shy little guy since the world can be cruel to pigs. Taylor Mason is not a typical clean comedian and ventriloquist; he is an average man with a family, a normal childhood, and a college degree. His unexpected humor shines in his work. The performer from Illinois traveled around the world and was good enough to be on the list of Star Search Winners. His secret is the wholesome comedy that has landed him Disney cruises, sporting events and a gig at Carnegie Hall. This regular guy does have a few compelling tricks up his sleeve or in his hand. Paco the Mexican swine wins the audience over with his bravado. However, his paranoia over being turned into brisket or used in a football game is what brings the laughs. This funny video lets viewers get to know Paco. While Paco’s fate in the dangerous state is uncertain, you will be sure you want to see more of Paco after watching. 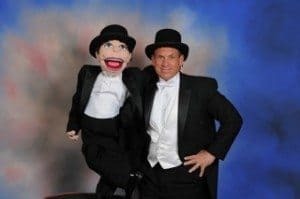 With a group of diverse characters, including Romeo, the semi-narcissistic “Mannequin-American”, Paco, the Hispanic Piggy, who’s scared of Tennessee and the state’s love of barbecue, and the several other original, unique personalities, Mason gives audiences an experience, unlike any other ventriloquist. His quick wit, sharp delivery and close attention to detail combined with a clean and family friendly routine make Taylor Mason a one-in-a-million type of performer. Taylor Mason uses music, ventriloquism, stand-up comedy and audience participation with his puppet orchestra. This former Star Search Grand Champion has entertained companies like Disney, McDonalds, WalMart, Time-Warner. Taylor Mason brings audience members up on stage to become part of the show as they operate the puppets. Watch and see why there is truly no other comedy entertainer in the world like Taylor Mason. Topics of Mason’s sets range from dating to social media, making him highly versatile and appealing to some demographics. From corporate events to comedy clubs, Taylor Mason will provide you with laughs and entertainment that will create lifelong memories. Incorporating musical pieces into his many acts, Mason also showcases versatility that is hard to compare to many, if any, comedians. Taking the approach of witty dialogue, audience interaction, and self-deprecating humor, Mason creates a league all his own. Why not enjoy this off brand of comedy with a group? With his fifth appearance at the Thou Shalt Laugh 5 (Chonda Pierce, Bone Hampton, Leland Klassen, Gilbert Esquivel, Daren Streblow, Joey I.L.O.) (being the only comedian to appear in all five of these events), Mason displays his longevity as a performer. Involving his audience, displaying a calm demeanor, and providing laughs to no end, Taylor Mason is a rare talent. There is no doubt that he is the type of man who provides an exceptional atmosphere for any event for which he is chosen to entertain. Keep your eyes peeled and don’t forget the name: Taylor Mason.